Two giant insurance companies with strong political connections are using all that is at their disposal, including dropping big names, to win lucrative tenders with both national and county governments. This is causing ripples and anxiety in the industry with firms without powerful forces behind them being victims as they lose out in the insurance industry. The insurance big cats have now moved their battles to City Hall and want to control Sh100 million insurance tender. The tender was advertised by the county government mid last year. Already, one insurance company has landed the tender in what is being said to be a controversial award where due diligence was thrown out through the window. Sources say African Merchant Assurance Company associated with Deputy President William Ruto was awarded the tender forcing the Cooperative Insurance Company to seek legal redress in the corridors of justice. Insurance players say that Amaco has of late won lucrative government tenders including those of the military, government parastatals just to name but a few. On its side, CIC is controlled by faces with roots in President Uhuru Kenyatta dominion in Central province. Nelson Kuria the chief executive officer has State House connections and was appointed by Uhuru to be on a powerful government organ apart from his insurance portfolio. After being knocked out of the tender in favour of Amaco, CIC lodged an appeal with the Public Procurement Oversight Authority. It has emerged that 12 firms participated in the process and only two, Amaco and CIC were prequalified. The two are said to have been the only ones qualified for the financial evaluation after scoring above the required technical score of 70pc. But Amaco in defence stated that it had won the tender fairly after scoring the highest as per technical and financial evaluations, documents in our procession reveal. It quoted the lowest amount at Sh87.8 million against CIC’s Sh88.4 million. The tender was given to Amaco on June 3 2013 but CIC lodged a review at PPOA on June 17 2013, hence the beginning of the protracted wars in the corridors of power with each out to undo the other. Sources say that in an effort to fix Amaco, CIC started claims that it did not qualify to win the tender since it had not earned or transacted annual gross premiums of Sh600 million under the general insurance business, excluding motor insurance as was stipulated in the tender document. This is the trick that seems to have worked well in its favour in the wars, although others say it hosted a number of those on the tender committee at an upmarket city hospitality joints where money crossed fingers. 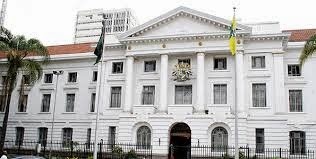 Names of those implicated in the deal based at City Hall are in the circulation among MCAs at the county assembly whose speaker is Alex Ole Magero. CIC is known to invest heavily in influencing and securing government tenders. In the same year 2013, it was awarded a multi-million tender by Kenya Wildlife Services after tendering through brokers which is against insurance ethics and procurement act. How CIC perfected the act at City Hall has left many perplexed but they all conclude it revolves around money-power. For now, it has surprised key industry players that CIC is fully engaged in the lucrative insurance business after manipulations and under deals at the Nairobi county. Insiders say that city politicians were kept out of the deal but well-known brokers and their influential offices were in the know. It is openly said that CIC and Amaco are involved in silent wars over lucrative government tenders and as a result, spilling the beans in public. Amaco’s management is led by Jonah Tomno (managing director/principal officer). Others in the management team are Elizabeth Koskei (general manager), Nancy Khakame (human resource manager), Francis Njenga (marketing manager), Alice Cheruiyot (underwriting manager), Lawrence Tanui (chief accountant) and Bernard Oriago (IT manager). The Amaco board chairman is Silas Simatwo. Majority happen to be from the deputy president’s own backyard. At the CIC Nelson Kuria is the group chief executive officer while Japheth Magomere is the chairman of the board. Other senior managers are Kenneth Kimani (managing director CIC general insurance), David Ronoh (managing director CIC Life Assurance Ltd), Mutarura Mwaura (managing director CIC asset management Ltd), Gail Odongo (group general manager corporate and company secretarial services), Pamela Oyugi (group human resources manager), Joel Gatune (group chief finance officer) and Edward Rukwaro (general manager-medical division).